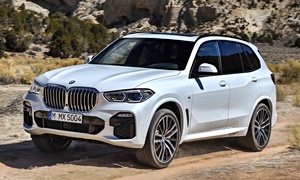 is there really many issues with bmw x5? I love BMW 5 series and am looking at buying a used 2014 or 2015 X5. However, I read many sites that blast BMW quality, reliability, and durability. This site indicates there is an issue with the engine. So, my question is are there really so many issues with this car? Or do BMW owners expect perfection from their car and take it in if it runs rough for 3 seconds? I find it really hard to believe they are so defective as decribed on sites. Are you happy with your car? Have you had to bring it in for repairs much or not at all? Lastly, have you taken it off the pavement and if so, are you happy with how it handles in gravel, logging roads, snow, etc? I have had no engine problems with my 2014 X5 5.0i. I read that the fuel injection can be a problem so I always use Shell 93 octane, a top tier fuel. I also have read that high oil consumption is primarily related to high turbo use. My driving is relatively sedate and oil consumption has been minimal. The 5.0i is great on the highway but around town the turbo lag can be aggravating but that is true for turbos in general. I am relatively happy with it. The ride, even in the comfort mode, is still on the stiff side. The lease is up in a couple of months and I will be getting a 2017 Lexus RX350 Fsport. The AC condenser cracked and had to be replaced. Also, a power steering line was rubbing against a pulley which eventually cut the hose. BMW service was not good. The new condenser was installed improperly and within a few months the O-ring seals were leaking and had to be replaced. The first power steering line they ordered turned out to be the wrong part so I got to wait another 3 days until the right part came in. The power steering line failure was scary because without any warning noises the display said in big red letters, STOP IMMEDIATELY. Luckily I was just leaving a parking lot. So glad I wasn't on the freeway with my power steering going out.